Thank you to Pixel 33 Media for the logo! 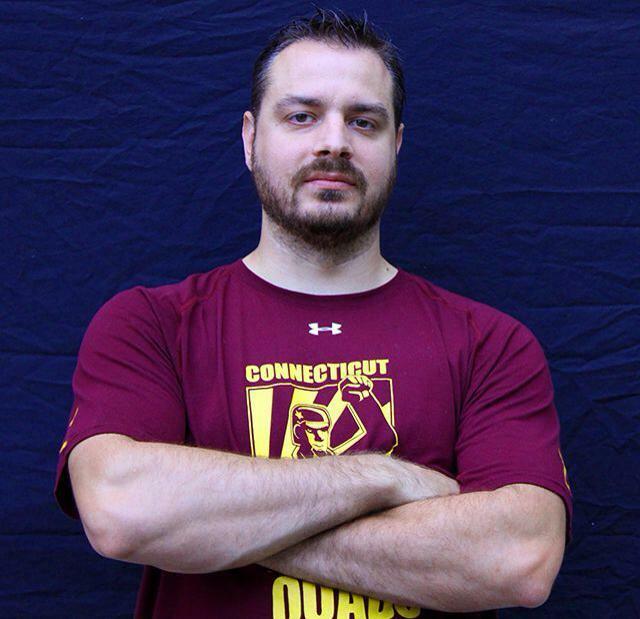 Who are the East Coast Outlaws? They are a ‘super team’ of flat track women and men from the East Coast who are coming together to play the Penn Jersey Hooligans on the bank track on Saturday, September 28. 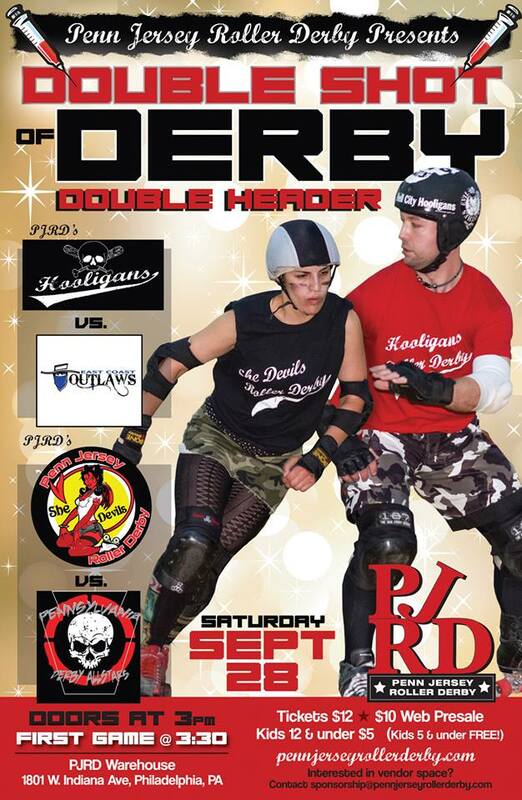 Check out more information about the double header on FACEBOOK or on the flyer at the bottom of the article. The Outlaws face off against the Hooligans at 3:30p and then the PA All Stars take the track against the She Devils afterwards. For fans of Team Rogue, you’ll see some familiar skaters on the roster when you come to the event. The Outlaws came together to take Rogue’s place in the double header action, and fans will not be disappointed with the power houses taking the track. I thought you would want an introduction for your team in white and blue. 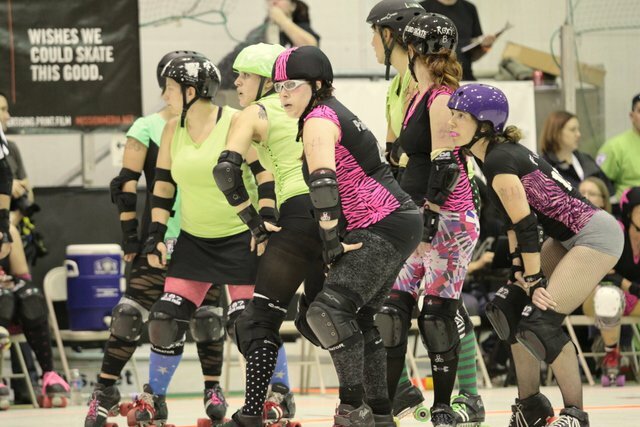 Thank you to photogs Juan Paden, Walter Romero, Tyler Shaw and DCRG and CTDQ for photos. So who are the members of the East Coast Outlaws? 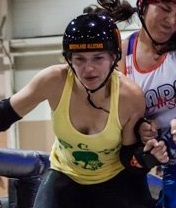 Raven is a monster blocker and a fearsome jammer on the flat track. 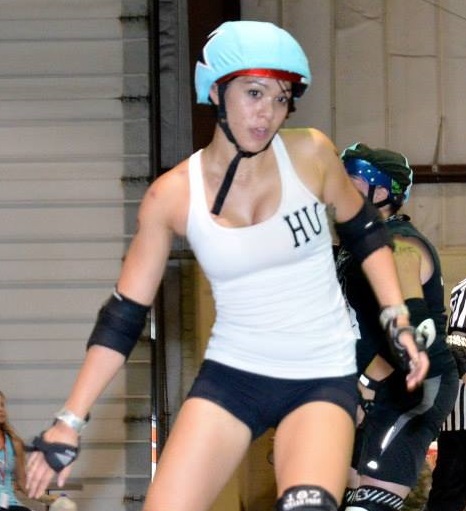 As a member of Team Rogue, Raven was a critical blocker in the back of the pack for controlling jammers throughout the Derby Ink tournament. If you don’t have a derby crush on Buster now, you will by the end of the game. 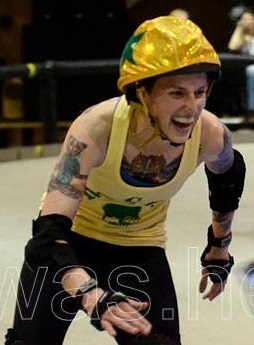 She won the hearts of Derby Ink when she wore the Rogue yellow & green for her quick feet and her ability to smash up opposing players. She is small, but she is mighty. Utility is the name of the game for Khaos on the bank track. 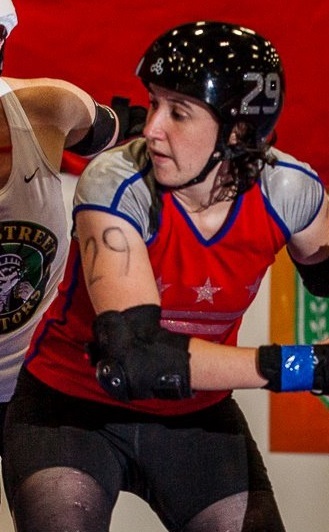 Fans know her to hold the star during flat track games, using footwork and spins. On Team Rogue she got to show off her booty blocking and lateral control, taking some of the strongest skaters to the rail, or off the track. This photo is just magic. Some believe she is made of solid granite. Pearl’s jamming is no joke and her blocking is some of the fiercest you’ll see. She is a true weapon of the Outlaws. This will be her first time on a bank track, or playing MADE rules, but that won’t hold her back. I couldn’t find an action shot of him skating forward so you get his head shot. MRDA teams don’t like seeing Hits in the blocker rotation. 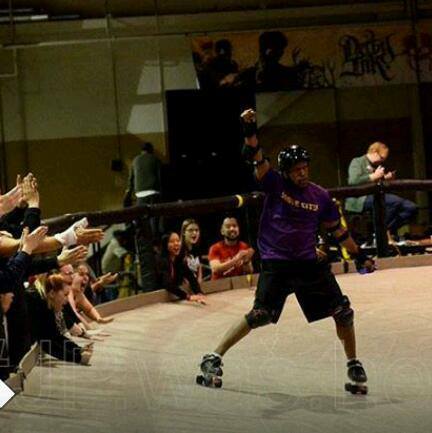 He is notorious for blinding hits and never giving up on the jammer. He is a solid piece of any Death Quad front wall. 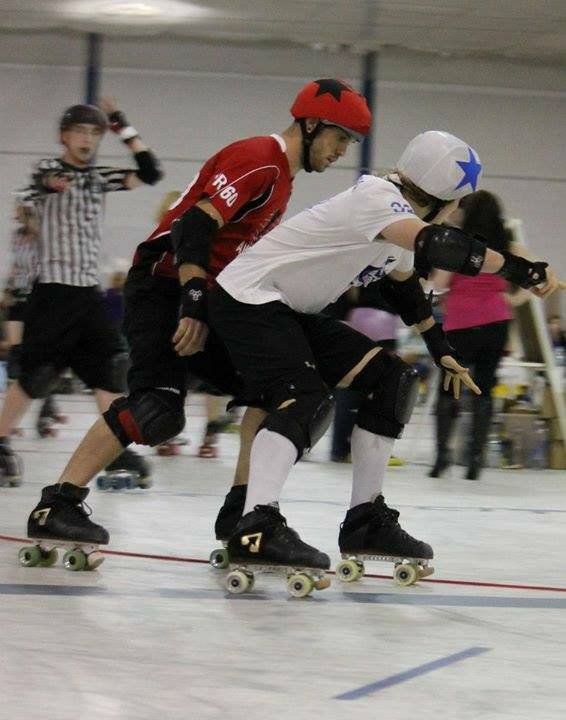 This will be his first time on the bank track, we’ll see how he adjusts to skating FORWARDS for the entire bout! Persistent, wily and explosive are words often associated with this bank track first-timer. At DC she makes her mark with footwork and power. It will be awesome to see how she translates it to the bank track. 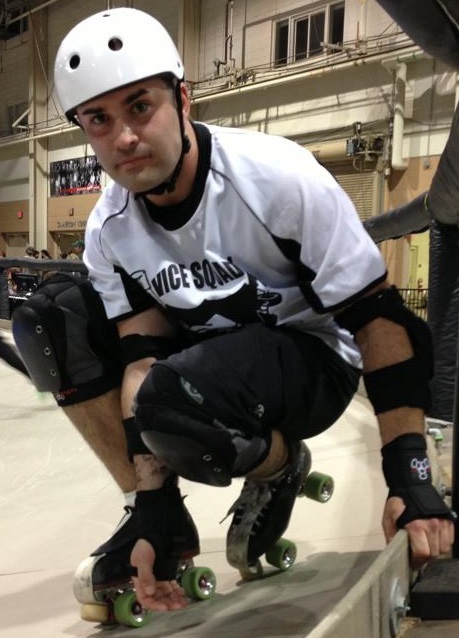 A rookie even to MRDA, Dirty Frank has shown that he is no joke. He is strong and agile and is an important blocker for the Death Quads, having picked up on the speed change aspect of the game very well. His first time dealing with a bank track should be fun to see. 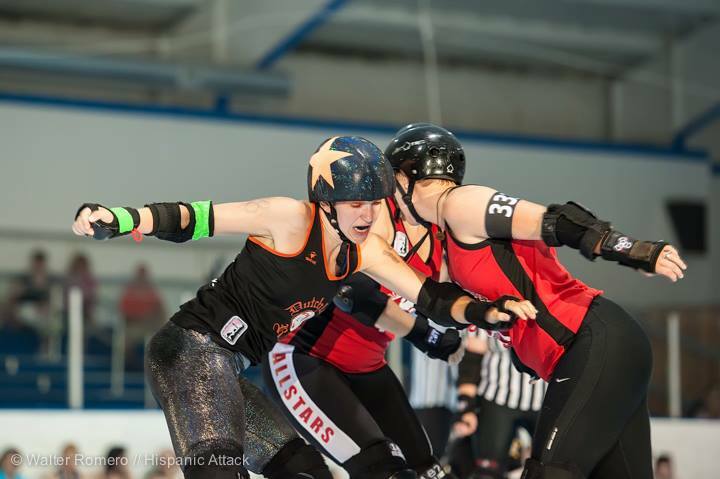 Always a crowd favorite, Hu Dat is fearless with a jammer star. 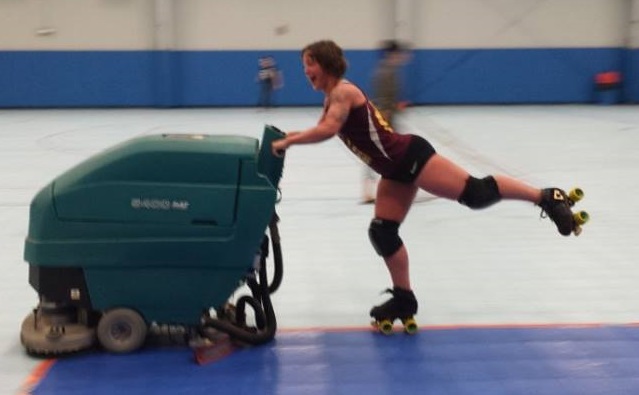 She has bursting speed and quick feet that belie her years in roller derby. Watch for Hu when blocking though, she can swing her hips better than seasoned vets. She is eager for her first bank track game. 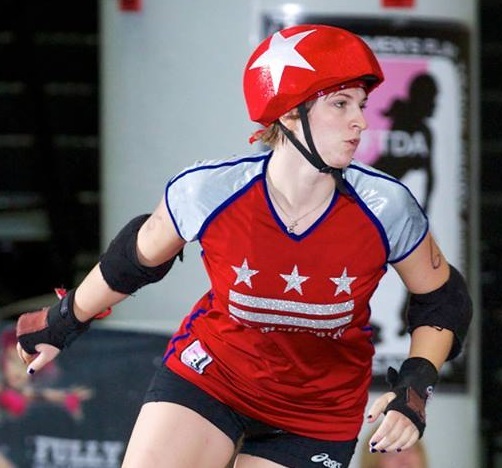 Another vet of the flat track, Shredder tears up the DC Armory with the jammer star and isn’t afraid to jump an apex or two. Beware her power hits when she’s blocking. 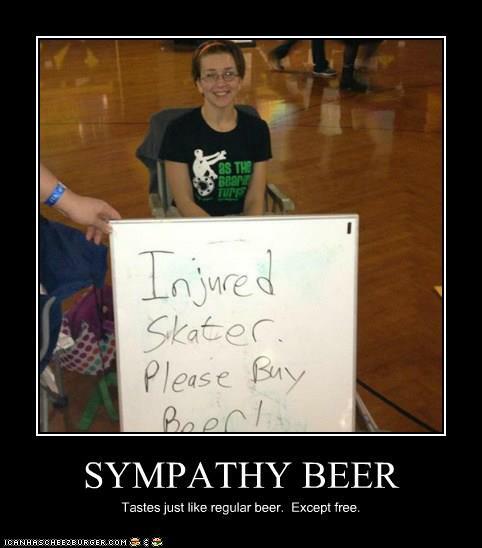 She’ll take you right off of your skates. Like teammate, Frightmare, this will be Sharp’s first time climbing onto the bank track. POWER. That’s what Starsky has to his advantage. 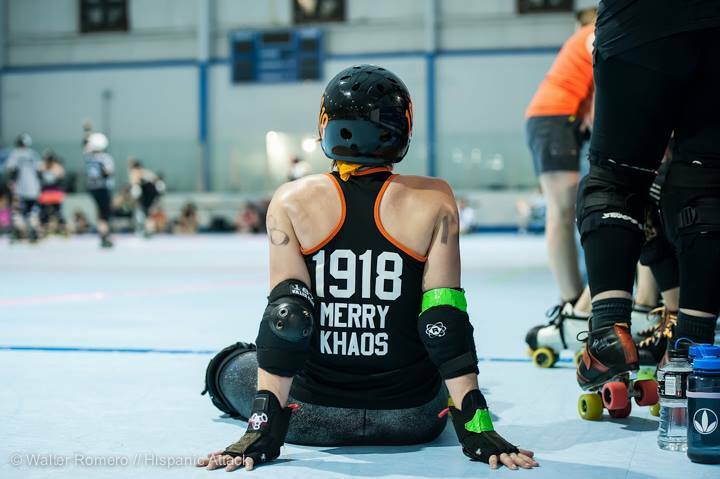 As a member of the Vice Squad at Derby Ink, he was able to leave a mark on his opponents. 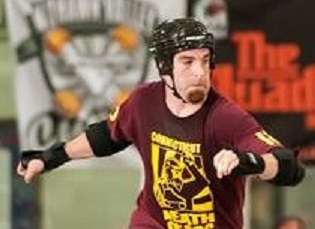 At the Derby Q2’s All Star scrimmage, he was also able to speed by his opponents as jammer, impervious to their blows. Other Outlaws that won’t be joining us this time around…. I fully and readily admit that patience has not always been my strong suit. I have always been one to rush into decisions. I liked to call myself ‘spontaneous’ when I was younger, but now I see that it was purely rash decision making. Not all of these rash decisions ended up yielding negative results (I certainly wouldn’t be who I am today if it weren’t for rash decisions). 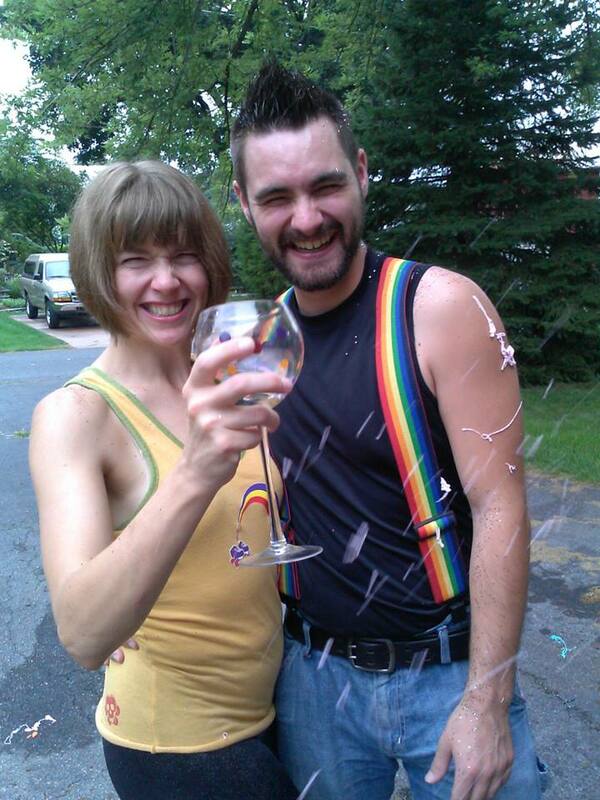 Moving in with my brother, going to HACC for theatre, going BACK to HACC for Humanities years later and joining roller derby were all split second decisions. So was auditioning for “There Goes the Bride”. So was starting Herbalife. So was deciding to be a coach. 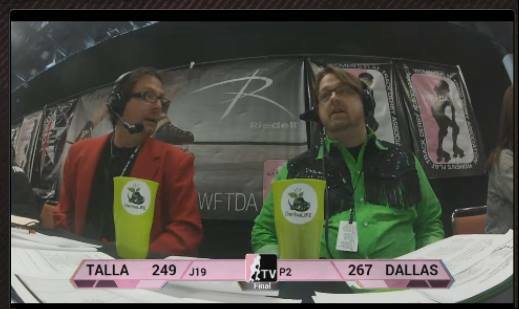 So was both years of Rollercon. Seriously. Buy it or download it. 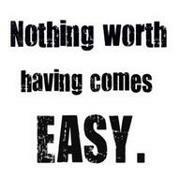 Amazing personal development. In the book he talks about the Path to Awesome. 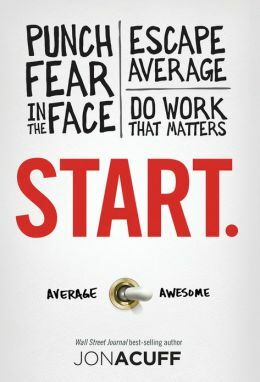 How we’re all on our own Path and how if we don’t look around and take an honest appraisal of where we’re at now and again, then we may not realize that we’re actually on the Path to Average by accident. I have always said that I don’t want to just wait for my turn to die. I continue to hold that belief. 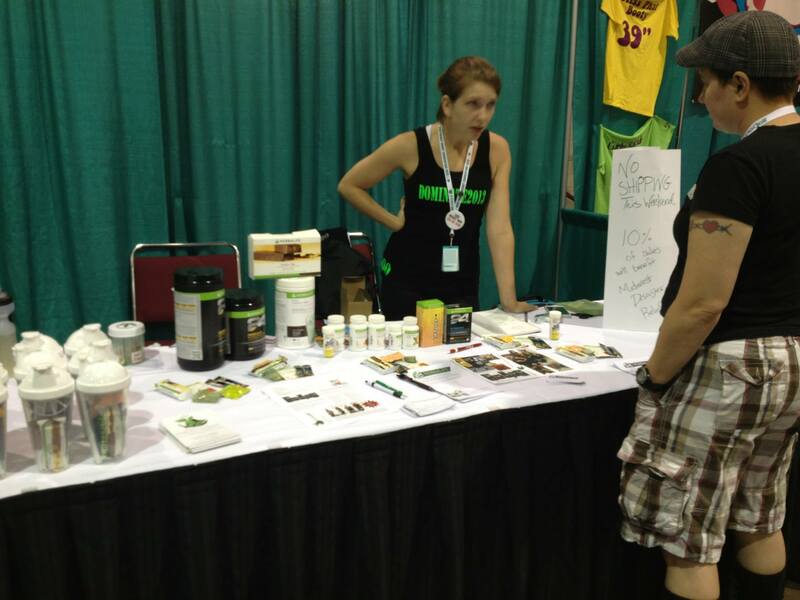 I have recently begun seeking full time employment to compliment my Herbalife business. Let me be clear: I am not putting a halt to my health coaching. I love it, it’s my passion and I feel like my genius lies within the realm of my coaches and clients. That being said, college, relationships and 10 years of minimum wage jobs and botched rash decisions have left me in a hole (ok, a crater really). I have been bad at being patient. I did not want to recognize as I graduated that I needed more time to develop my business. I needed more time to become a good coach. I needed more time to understand how to expand my client list simply and locally. I do not regret a single coaching gig. Oh no way! This summer was an amazing ride – full of hills and valleys and corkscrews (actually and figuratively). I have formed strong friendships thanks to my rash decisions of the last few months. Now is the time to change it up, however. I didn’t want to admit that I needed time to become strong at skills and at jobs. I didn’t want to waste time, and in the process I did NOTHING but waste time. 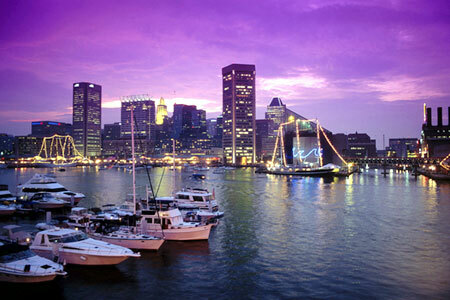 Oh wait, I guess I should mention one more rash decision: I’m moving to Baltimore. An exact date has not been set, but in order to walk the Path to Awesome I know I need to move. I’ve been saying for the last 2 years that when I graduated I would be moving out of Central PA. I knew that I needed to – I just didn’t know where to go. Well, I know now. I have been applying for full time jobs both in Lititz and in Baltimore. So we’ll see which ones call me first. So here’s the plan for my Path: continue to build an online community and support system for athletes to become HARDERBETTERFASTERSTRONGER. Continue to build up my team of amazing coaches and show them they are awesome and strong and have everything inside them to be successful. Work a full time job for a while to pay down my bills and put some stuff into savings. Move to Baltimore and work with a local club to begin building a local community of clients and coaches. When I hit GET team, I will be able to afford all of my bills, savings, taxes, travel and extras enough to leave whatever job I had been at. If it takes one year, awesome. If it takes three years, that’s ok too. This patience thing is where I will learn the skills and learn how to edit and learn how to master all things coaching and health. The patience will hopefully spill over to my personal life, where I have had a habit of expecting things to come along quicker than they should. And derby. Derby will still happen. I go to see a Physical Therapist tomorrow to get my knee and IT band looked at. If they tell me that I need to take time off, than that is what I will do [though maybe not starting tomorrow]. I am also putting in a bid to help out the Harm City Homicide as a coach. 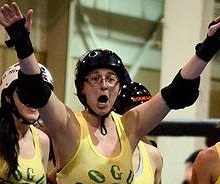 I have found a passion for men’s derby this year, and I want to help my southern boys be strong and fast.